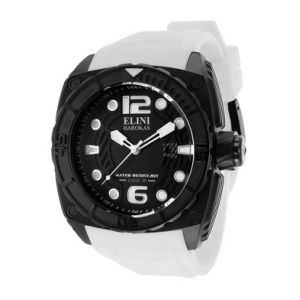 Achieve an elegant ultra-modern look with timepieces by Elini Barokas. The Commander line features boldly masculine watches with a detailed dial and silicone strap suitable for a day at the beach or office. In stock items ship within 24-48 hours.